A Police Career, is it for you? A Police career is by no means an easy undertaking. It’s certainly not for everyone. Police Officers are tasked with running towards dangers that others run away from. It is their job to put themselves in difficult and demanding situations that others would simply not deal with. Starting a Police career is can be very fulfilling and worth considering when planning your next career move. It is extremely varied but not necessarily what people are used to seeing on television. There’s a whole variety of tasks the Police Officers must carry out to do the jobs on a daily basis. Some of the more mundane things can include giving out traffic tickets, guarding scenes of crime and general patrols, however there are far more challenging and exciting aspects to the job too. During their Police career o]Officers often have to testify in court as presenting their evidence can form an important part of the trials and convictions of criminals. They are also tasked with dealing with demanding situations such as fights, drug raids and searches, as well as having to often tracked down criminals who are trying to evade them. I’m considering a Police career, how many hours do Police Officers work? Police Officers typically work 40 hour weeks, however this can vary greatly depending on the situations that arise. An Officer may be stuck at the scene of a crime or need to fill in important paper work before he or she can go home. This means 8 to 9 hour shifts can become 12 hour shifts or more. Therefore, if someone is seeking to become Police Officer they should expect to work unsociable and potentially flexible hours. Working in a Police career definitely isn’t a 9 to 5 job. Shift work is very common for frontline officers. Different police forces arrange the shifts in different ways however it is a very compact until two day shifts which are early in the morning to mid afternoon, To afternoon shifts which are from the afternoon till late night, And two nightshifts which are from a late night to very early morning. So how much do Police Officers get paid for this? 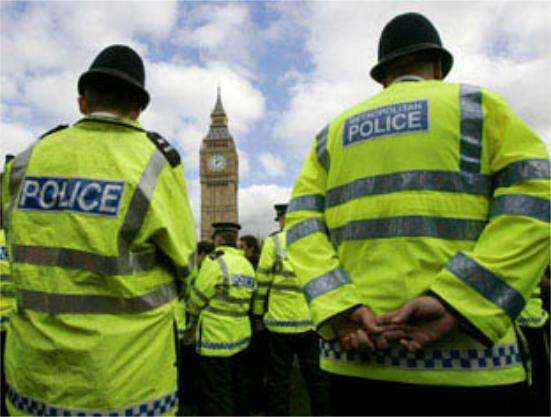 Officers are compensated with and unsociable hour pay increases, which are typically around 15% of their standard rate. Before even considering applying to become a Police Officer, it is a good idea to find out whether or not you are even able to reply, it is a good idea to vet yourself against your chosen Force’s Police requirements. Although some desk and paperwork is required being a front line Police Officer is not a desk job. Police have to work outdoors in all kinds of weatherAnd have to take big risks in chasing cars or criminals when they make an arrest. The job can also be mentally straining as Police Officers typically see and experience things that the general public simply do not. As well as being demanding job for Police Officers themselves, family members of Police officers also face their own challenges. Having a Police Officer in the family can be a strain and a worry for those concerned with their well being. As well as this, social functions may also be impacted as unsociable hours overtime coming to things. These are a few of the factors that people need to consider before joining the police. Being a member of the Police force certainly isn’t for everyone and should only be undertaken by the dedicated few will possess the qualities and resilience to overcome these challenges. These factors should by no means put people off the job but merely serve to make people think of the challenges that they will likely face, before they apply.